I had always wanted to go to Barcelona, so when M. proposed me to go there last weekend I didn't hesitate a second. I wasn't disappointed... 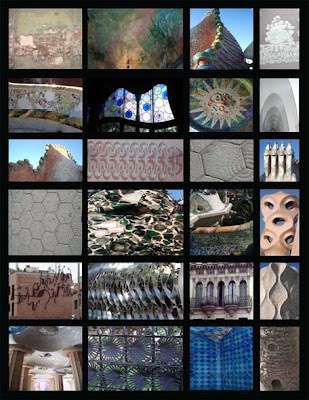 It is full of beautiful patterns and colors, from the pavements to the walls! The weather was great, warm and sunny, perfect to enjoy this city. Tu en a de la chance! Ca me donne envie d'y retourner!